About Us: Living in faith and love...for 90 Years! "Melrose," as we affectionately call it, came into being through tragic circumstances. In the spring of 1926 Willie Dowle, while on his way home from a children's meeting, was struck and killed by a streetcar while crossing Yonge Street. In order to avoid the need for children to cross what was even then a busy highway, two ladies, Bessie Locke and Nellie Whatton, planned meetings that summer for children in the area of Avenue Road and Melrose Avenue. 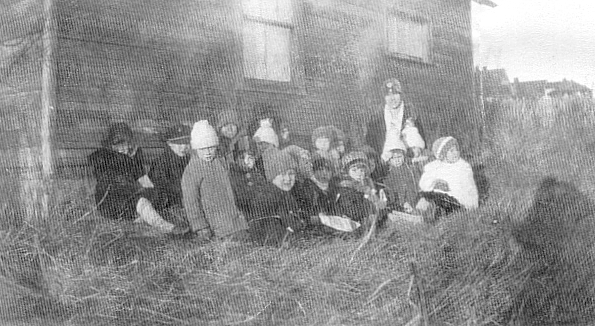 The group met in a grassy field on the corner until the weather turned cold. They used the kitchen of a home on Melrose Avenue, and when the group outgrew that, they moved into a garage for the rest of the winter. Later, a small building was constructed on Avenue Road to house the "Melrose Gospel Mission." In 1953 the "Mission" joined the newly formed Fellowship of Evangelical Baptist Churches in Canada (FEBCC) and became known as Melrose Baptist Church. In 1964 a new building was erected on Melrose Avenue just west of Avenue Road. This served the congregation until 1989, when a large extension was built to provide space for a library-fellowship lounge, Sunday School rooms, offices and a board room. The church is now known as Melrose Community Church. Our most recent building renovation was the installation of a wheelchair lift. We are planning to upgrade our basement facilities. From the beginning Melrose has been involved in missionary work around the world. We have helped to support over 80 missionaries in 30 countries. Today we continue our missionary program and support a number of our own members involved in Thailand, Benin, Cameroon, and here in Canada. We also support an Indian family serving in Nepal. Given our history, Melrose Community Church anticipates growth to serve the local community as well as people in distant lands. It's time to build on past experience to strengthen these ministries. As God has enabled us over the years to be a blessing through His people to the world, we are confident He will continue to do a good work through us in the years to come. 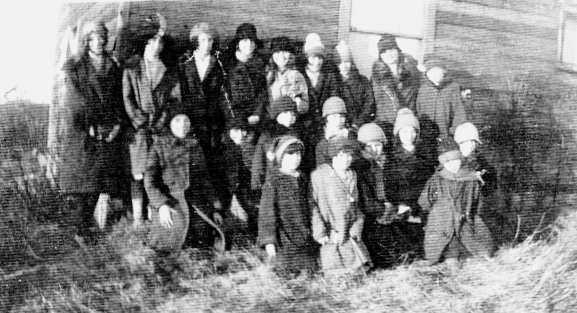 The first group of people in 1926 and the beginning of what is now Melrose Community Church. The building pictured is a garage that was used as the first church starting in November 1926. It was situated on the southwest corner of Melrose Avenue and Avenue Road, where a post office is currently located.